The reason for the problems of the Parliamentary Assembly of the Council of Europe (PACE) is double standards, chairman of the parliamentary committee on international relations and inter-parliamentary ties, head of Azerbaijan's permanent delegation to PACE Samad Seyidov said, commenting on a report on the past presidential and parliamentary election in Turkey, on October 8 during the autumn session of the PACE in Strasbourg (France). "Sometimes in the assembly we talk about the situation in individual countries. At the same time, we must take into account that, unfortunately, our vision of countries, our approach to these countries is based on double standards. This is the actual cause of problems in the assembly," he said. Seyidov noted that Turkey is one of the founders of the Council of Europe. “Turkey has made a huge contribution to ensuring stability in Europe. At the same time, Turkey is fighting terrorism, instability, poverty inside the country. And today Turkey is criticized for some minor things, but not for some serious factors that we have to take into account. We should understand that Turkey held this election in a very difficult situation. But this election was both free and open," Seyidov said. He then reminded that voter turnout in Turkey was 86 percent. "In European countries, this is rarely seen. This turnout demonstrates the desire and readiness of the Turkish people to ensure stability in the country, to see Turkey as a European country, a country that is guided by our common values. If we begin to go into details, without being able to see the overall progress in these difficult circumstances, the progress achieved by Turkey, then this is exactly the double standards. I ask you to return to our values. I urge you to return to the understanding that Turkey is the answer to the question which we are not able to solve in Europe," Seyidov said. The autumn session of PACE began its work on October 8 in Strasbourg. The Azerbaijani delegation headed by chairman of the parliamentary committee on international relations and inter-parliamentary ties, head of Azerbaijan’s permanent delegation to PACE Samad Seyidov takes part in the session to be held on October 8-12. 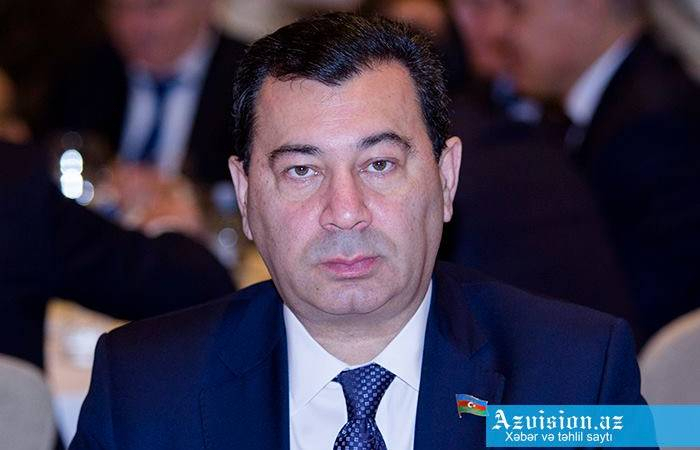 The Azerbaijani delegation also includes chairman of the Azerbaijani parliamentary committee on cultural affairs Rafael Huseynov, MPs Sevinj Fataliyeva, Sahiba Gafarova, Ganira Pashayeva, Ulviya Agayeva, Asim Mollazade, Chingiz Ganizade, Elshad Hasanov, Sabir Hajiyev, Fazil Mustafa and Nagif Hamzayev.